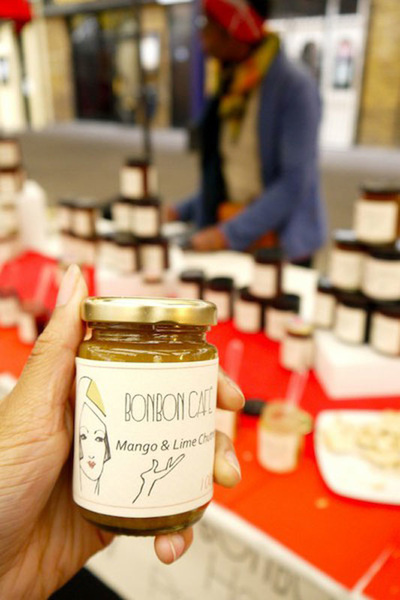 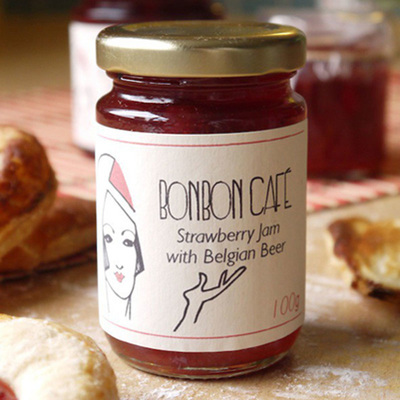 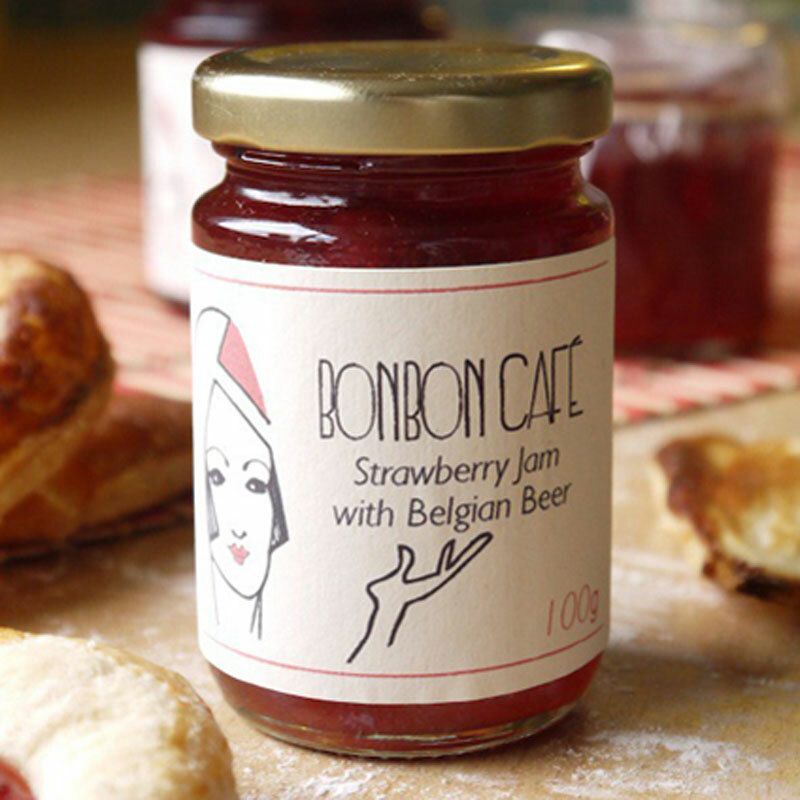 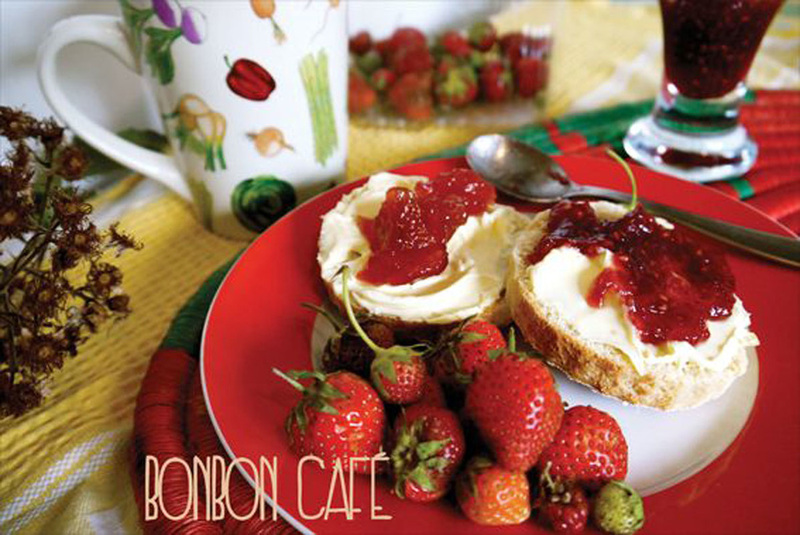 After nearly 20 years making Jam for friends & family, we decided to see if they were just being nice when they asked for more, and launched Bonbon Café in 2011. 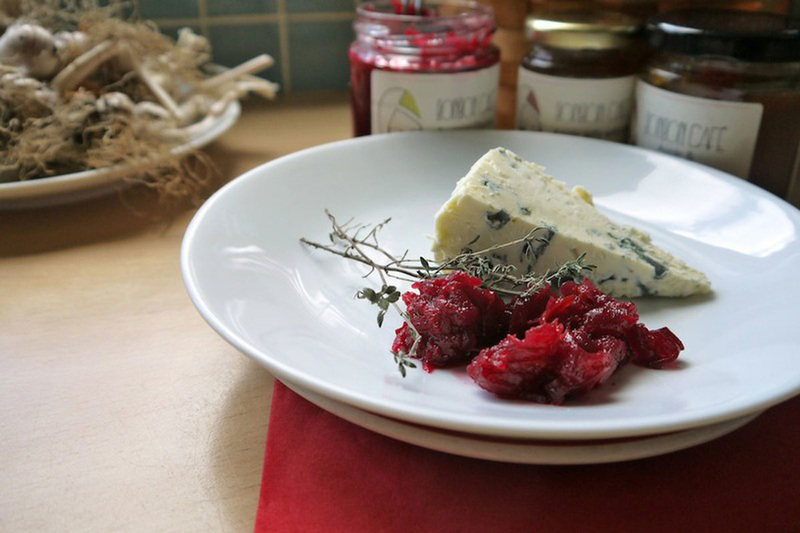 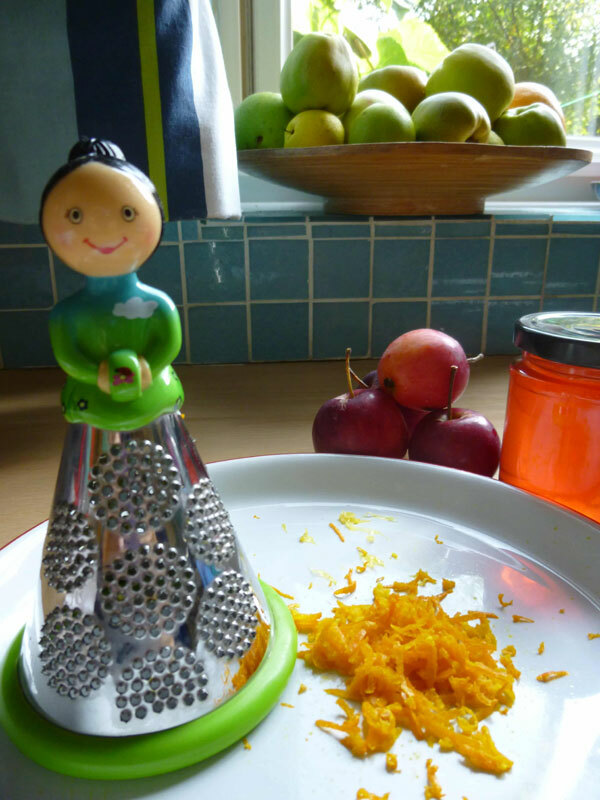 We make everything at home in our kitchen, and use seasonal fruit & vegetables from our garden wherever possible. Neighbours and friends supply more, and we forage for a good part of the rest. 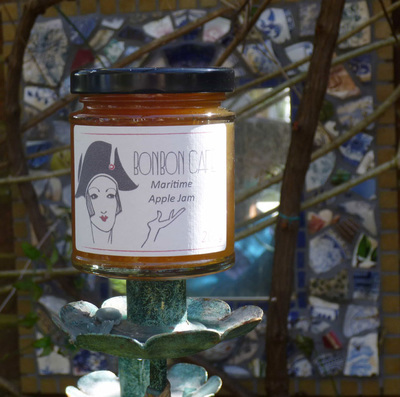 We use only fresh ingredients, and no preservatives or other additives. 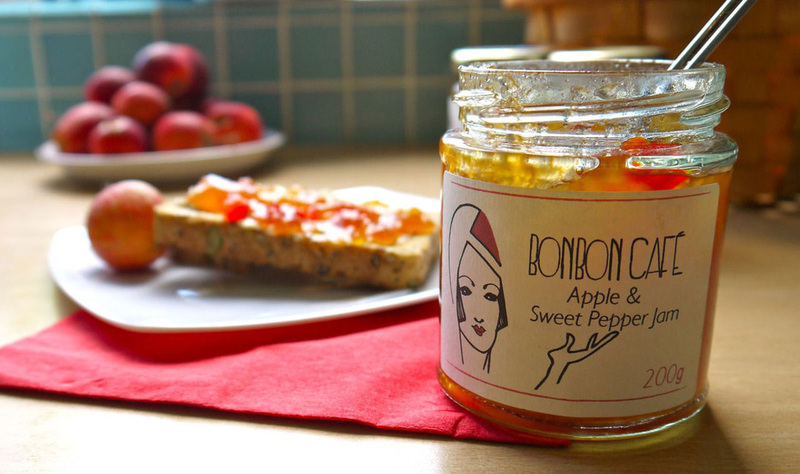 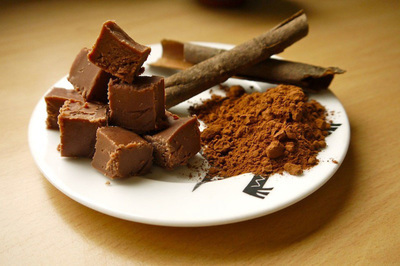 We produce small regular batches, and constantly experiment with seasonal flavour combinations. 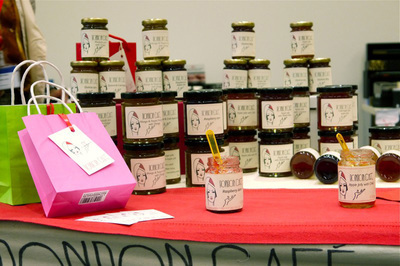 Our range has expanded from our original Jams, to include Jelly, Marmalade, Chutney and Fudge, and we offer two jar sizes as well as hampers. At the end of 2014 we found a source of Greenwich honey to supplement our range, so we now offer local honey together with our preserves. We attend Greenwich Market on Tuesdays and take part in Lee Green Open Studios, Catford Arts Trail, and many other art and food events.